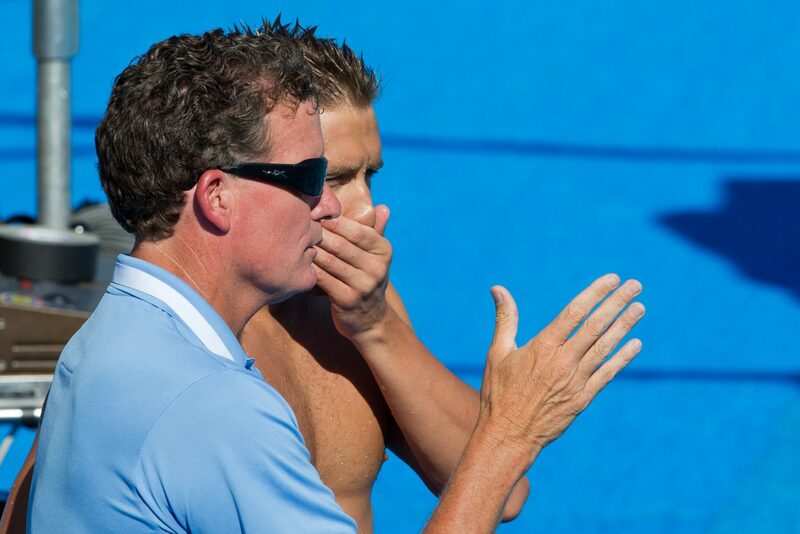 The David-Marsh led SwimMAC Carolina has won the USA Swimming Club Excellence title for the 2011-2012 season, leading 23 clubs that were honored with Gold Medal status as the 20 highest-scoring clubs, plus any teams that produced Olympians. What’s really interesting about SwimMAC is the way they dominated this battle, even though it’s based only on 18 & under athletes. The program is well-known for their post-grad training group that sent 5 swimmers and a coach to London as a part of the U.S. Olympic Team. The club, however, is a perfect example of how a post-graduate training group can work in conjunction with a more standard USA Swimming club to develop a profitable and wildly-successful club team. The same goes for Bob Bowman’s North Baltimore Aquatic Club, the second-highest scoring club, and Mission Viejo, the third-highest scoring club. 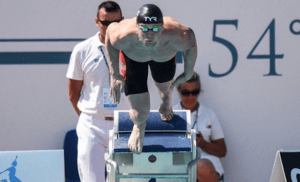 Both of those programs have a number of professional swimmers among their ranks (notably Olympic champions Michael Phelps and Allison Schmitt at NBAC). Though those swimmers’ scores don’t count, their presence at the top of the list is no coincidence. Editor’s Note: Schmitt is not technically a professional, as she chose to retain her amateur status for purposes of NCAA competition. She is, however, an Olympic gold medalist, and spent the last year effectively training as a professional with NBAC, Phelps, and Bowman). Athletes were given points for their 4 best swims, with only swimmers 18 & under and holding U.S. citizenship qualifying for the awards. There are also points awarded for open water swimmers. The awards, given to gold, silver (top 100 teams not earning ‘gold’ status), and bronze categories (clubs 101-200 not named ‘gold’ or ‘silver’), come with both the right to publicize a club as one of the best in the country as well as a divided $360,000 in grant money from USA Swimming distributed among gold and silver medal clubs. There were 7 clubs that earned gold medal status for the first time this year: the Aquazot Swim Club, Asphalt Green, Clearwater Aquatic Team, Dayton Raiders, Nitro Swimming, Pleasanton Seahawks, and York YMCA. That includes teams that have really made huge moves at a national level for several years and have now broken into the top 20. On that list are clubs like Nitro Swimming, that in only a few years has become arguably the best club in Texas; the Dayton Raiders, whose men were the 2012 long course Junior National Champions; the Clearwater Aquatic Team that has been building up its base of swimmers like Becca Mann after bringing age-group guru Randy Reese in a few years ago; and the Pleasanton Seahawks, who have stamped several National Age Group Records in the last month (and produced a senior national champion this winter in Celina Li). There are a lot of fantastic clubs on this list. The Gold Medal award winners are listed below; click here to see a list of all of the honored silver and bronze medal clubs. Correction…..Allison Schmitt is not a professional. Go Nitro! It is only going to get better! Next year, #3. Nitro has done an incredible job in such a short period of time. But if you look at who they are losing to college and moves, and the gap they have in the 16-17 year old category, they will likely slide down to silver next year.